Losing weight can be a lot easier if you spice up your food. Spices not only make your food taste good, they are also known to aid fat burning, boost metabolism, help you stay healthy and fight off other health risks. 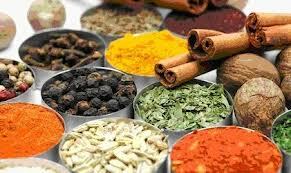 Spices help stabilize blood sugar by controlling insulin levels in the body. When blood sugar is stable, you are more likely to burn fat and not store calories as excess weight. Spices are the best antioxidants and have powerful anti-inflammatory, antibacterial, antiviral, and anti-fungal properties. For all the good reasons for health, why not add these top five fat-burning spices to our diet and ramp up weight loss as well. In the following post, learn about the spices that have been known to help in weight loss and get you to your goal in a healthy and happy way. Cinnamon: This ancient spice has one of the highest antioxidant levels of any spice. A study published in Diabetes care (2003) showed that 1/4th tsp to 1 tsp daily of cinnamon helps metabolize sugar up to 20 times better than without cinnamon, hence boosting the body’s weight loss ability as well as controlling diabetes! Because cinnamon balances blood sugar levels it has the added advantage of stabilizing mood and energy levels as well as lowering LDL and triglyceride levels. (but remember, cinnamin contains coumarin, a chemical which can lead to liver damage if consumed in large amounts). Cloves: Cloves are another one of the spices that have been appreciated for their help in speeding up metabolism and increasing weight loss. Clove consumption is said to increase glucose metabolism, thus lowering blood glucose levels, helping the body regulate insulin levels & in turn keeps diabetes at bay. Also, cloves have antibacterial, antifungal and antiseptic properties. The active compounds in cloves, eugenol and isoeugenol, possess both anti-inflammatory as well as antioxidant properties. Furthermore, cloves help maintain cardiovascular health, improve blood circulation, relieves flatulence and indigestion. These are also known to boost energy level and relieve stress. Turmeric: Turmeric is one of the popular spices of the Indian kitchens. It contains beta-carotene, an antioxidant that helps protect liver from free radical damage, while helping body metabolize fats by decreasing the fat storage rate in liver cells. Studies suggest that Curcumin, a yellow-orange pigment found in turmeric, has antioxidant and anti-inflammatory properties, which helps protect the brain against damage, slows down the development of Alzheimer and Parkinson’s disease and prevents heart diseases. Ginger: Research studies suggest that ginger has fat burning and metabolism accelerating properties which can burn the body fat. Also, this fat burning spice has been found to contain satiating properties that helps keep a check on over-eating! Ginger tends to increase the pH value of stomach acids, thus reducing the rates of gastric secretions and accelerating the activity of the enzymes necessary for digestion. 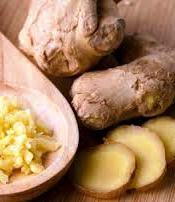 Furthermore, ginger reduces triglyceride and cholesterol levels and thus helps in improving cardiovascular health. It elevates the levels of high density lipoproteins and lowers the risks of stroke and heart attack by improving the blood circulation. Black pepper: The main component of black pepper, piperine, is said to boost fat metabolism by inhibiting differentiation of fat cells in the body. studies suggest that piperine has anti-obese properties and reduces triglyceride, total cholesterol, VLDL and LDL levels, and increases HDL cholerterol. These results also show that piperine can help in weight loss and management. This kitchen ingredient is also beneficial in diseases like cholera, diarrhea, and other gastrointestinal problems. Chillies: Eating chillies can make you lose weight by stimulating the metabolism, improving circulation and warming the body. Chillies in moderate quantities induce 'Thermogenesis' that promote sweating, which is a cooling mechanism of the body to combat heat. Capsaicin, a component found in chillies, is responsible for this effect as it stimulates certain receptors in the central nervous system to create the heat producing effect. 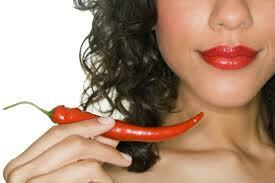 Additionally, chillies help relieve nerve pain and boost energy levels as well.